When it comes to improving health, education is just one piece of the puzzle. The other pieces are made up of the supports necessary to make, encourage, and maintain healthy choices. For many years, the Cent$ible Nutrition Program (CNP) has provided nutrition education to Wyoming’s limited resource families and individuals, including to youth at income-qualifying schools. In recent years, CNP has shifted from providing solely direct education to engaging in community interventions to help create the supports necessary to build healthier communities. 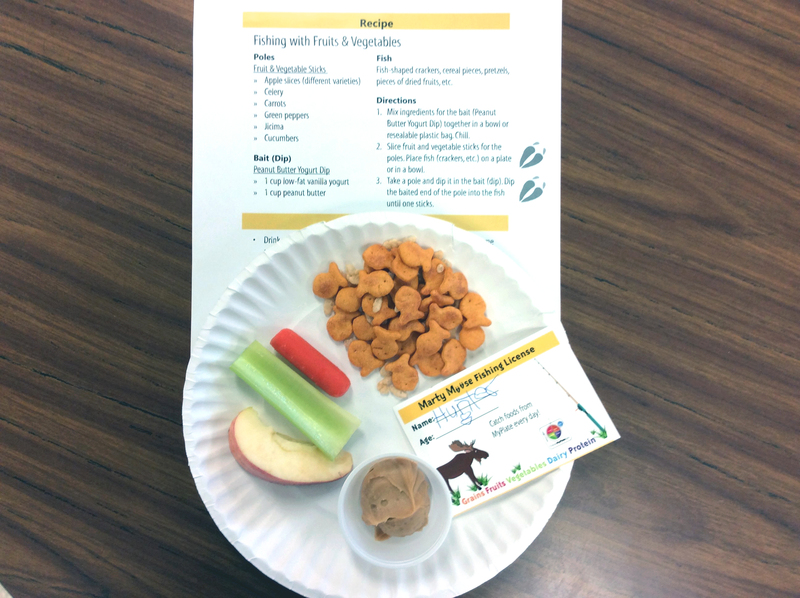 In 2016, CNP revised its Grazing with Mary Moose 3rd grade curriculum to include interventions in the school community. Working together with school administrators, teachers, and staff, CNP encourages students throughout the school to make healthier choices. 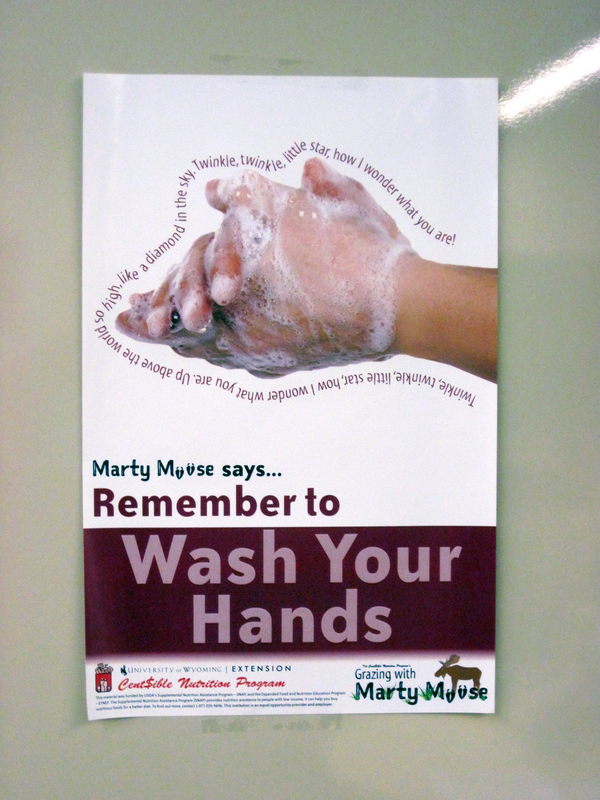 These interventions include changes such a signage prompting healthy choices, small changes in the lunchroom like placing the low-fat milk in an easier-to-reach location and renaming fruit or vegetable dishes, providing water dispensers, and larger projects including school gardens and playground enhancements to encourage more physical activity. Since implementing the revised curriculum in fall 2016, CNP has reached 15,769 students in 52 qualifying schools, Boys and Girls clubs, afterschool programs, and other youth sites. These sites have adapted 883 nutrition and physical activity supports to encourage healthier choices. Other teachers have noticed students bringing healthier snacks to school and picking healthier options at lunch. One teacher overhead her students discussing the food groups their snacks fit into and the healthier choices they are making. Students have also taken the information home to encourage their families to make healthier choices. "I asked my mom to buy more broccoli since I learned it is a super power vegetable," said one student from Washakie County. 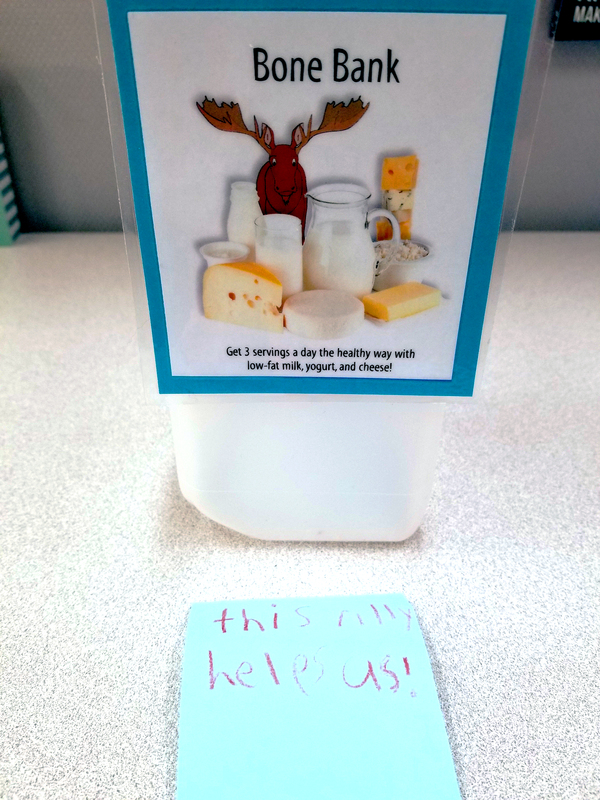 Another student asked his mom to buy low-fat milk, yogurt, and fruit for smoothies after trying a smoothie during class. Throughout the classes, students are asked to think about ways their school can help them be healthier. These ideas are then shared with school administrators, teachers, and staff. "Teachers should do a drink break so we can get at least three gulps of water,” suggested a Washakie County student. 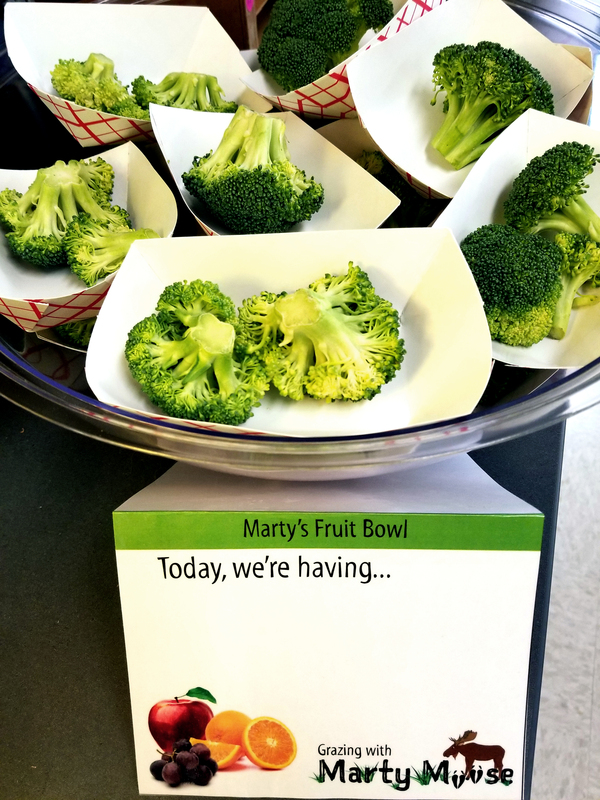 Students in Uinta County had an impact on their whole school district by coming up with creative names for fruit and vegetable dishes to get their peers more excited about these foods. These ideas were shared with the food service director, who incorporated them into the menus for the district. Instead of fruit cocktail, the menu now says Fruity Rainbow Cocktail. 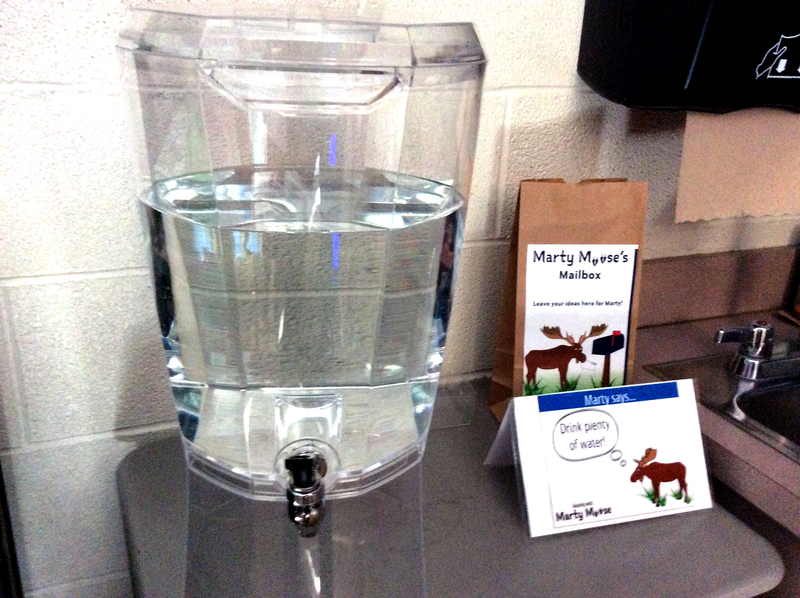 At Mills Elementary School in Natrona County, teachers bought water bottles for their students and saw an immediate increase in water consumption during the day. At this same school, the lunchroom staff dispenses water to students after they have finished their lunch and milk using the CNP water dispensers. At Evansville Elementary School in Natrona County, all of the 3rd grade classrooms adopted the Healthy Celebration Proclamation and put it into effect for their Valentine’s Day class party. Parents responded positively to the change and brought in fruit and vegetable trays, strawberries in chocolate, and bananas in place of the usual cupcakes, cookies, and candy. The students were excited for the fresh food. Through community interventions like these, CNP and its partners are helping to make the healthy choice the easy choice for everyone. CNP is funded by the Supplemental Nutrition Assistance Program (SNAP) and the Expanded Food and Nutrition Education Program (EFNEP). Community interventions like these are part of CNP’s SNAP-Ed focused mission to provide opportunities for positive change in nutrition and physical activity for the limited resource audience through education, multi-level interventions, and community engagement.